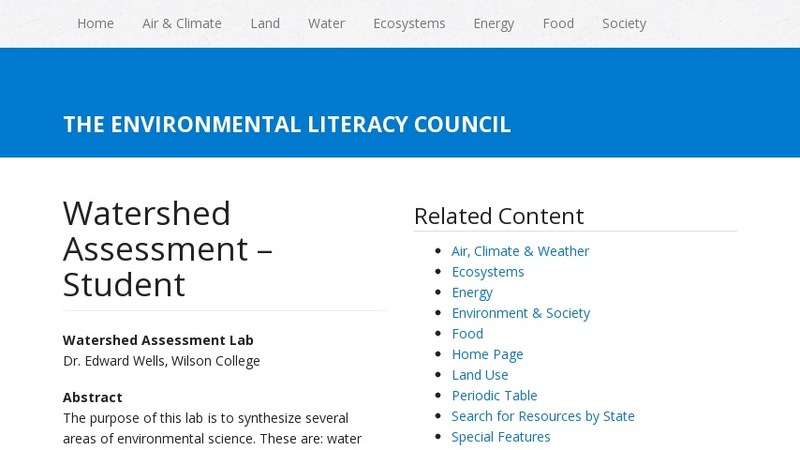 This activity will enable students to see the links between specific areas of environmental science. They will especially realize how science must inform policy if land use and zoning regulations are to be sustainable for both the human and natural economy. During this activity students will synthesize several areas of environmental science including water quality, soil quality and capabilities, land use and zoning, and, as a potential extension, wetlands. After they study all of these parameters in a geographical location specified by the teacher, each group will make management recommendations that are based on their findings. This activity has an accompanying teacher site with hints and more information. There are also links to thirteen other sites with the information needed for this activity.